After over 50 years of guerrilla war and the recent demilitarization of the leftist FARC guerrilla group, it has seemed that the violence in Colombia finally has an end in sight. The National Liberation Army (ELN) is the last remaining guerrilla group in Colombia, and until the past few years, had been rather quiet. When the finalization of the FARC-Colombia Peace Deal was announced in 2016, ELN began orchestrating more attacks on Colombia’s infrastructure. Many attribute the increase in attacks to both the demilitarization of the FARC, and the power vacuum left behind, as well as the mass influx of Venezuelan refugees to the country. Many of the Venezuelan refugees who come to Colombia are unable to bring any resources or money with them across the border, and live in disparate refugee camps, or on the street, in a new country with no connections, jobs, or homes. ELN provides a home for refugees in exchange for joining their guerrilla movement (Otis, 2019). Although most of the refugees do not engage with the violent guerrilla group, it can be tempting for already at-risk youth to see ELN as an attractive option to escape poverty and hunger in their new country. However, there is no direct evidence that proves that the increase in ELN-related violence is due to the increase of refugees (Source). This past Thursday, January 17, a car bomb exploded in front of the Police Academy in Bogotá. In the explosion, at least 21 people were killed. Although ELN did not immediately take credit for the attack, the suspect of the attack was José Aldemar Rojas Rodríguez, a member of the ELN Guerrilla group. Rojas Rodríguez was also killed in the attack (Source). ELN was also in the midst of negotiations with the Colombian Government, though the negotiations were put on hold last winter when ELN took credit for several bombings on police stations, oil pipelines, and the kidnappings of soldiers and police officers. If the attack was officially orchestrated by ELN, then officials predict that the deal will be halted indefinitely (Orjoux, 2019). On Monday, ELN rebels did just that and officially took credit for the car bombing, calling it an act of war. ELN did this they claimed not as a push to end the peace negotiations completely, but to urge the new Colombian President Ivan Duque to reenter negotiations. The guerrilla group explained that “the operation carried out against [military installation] installations and troops is lawful within the law of war, there were no non-combatant victims” (Murphy, 2019). However, the High Peace Commissioner of Colombia told news sources that a group that carried out an attack such as the one in Bogotá this past week cannot be forgiven and that there is no justification for such an act, making a renegotiation of the peace deals even more unlikely. The response by the public to the attacks is just as strong as that of the government. On Sunday, January 20th, thousands of Colombians marched in Bogotá as well as other cities around the country to condemn the actions of ELN. Many were appalled that ELN would commit an act of violence to show interest in the peace deal. One woman attending the protest in Bogotá was shocked, saying that “a group that takes part in drug trafficking, kidnapping and blowing up oil pipelines is not showing signs that they want peace. Much less then, blowing up 20 young people?” (Murphy, 2019). 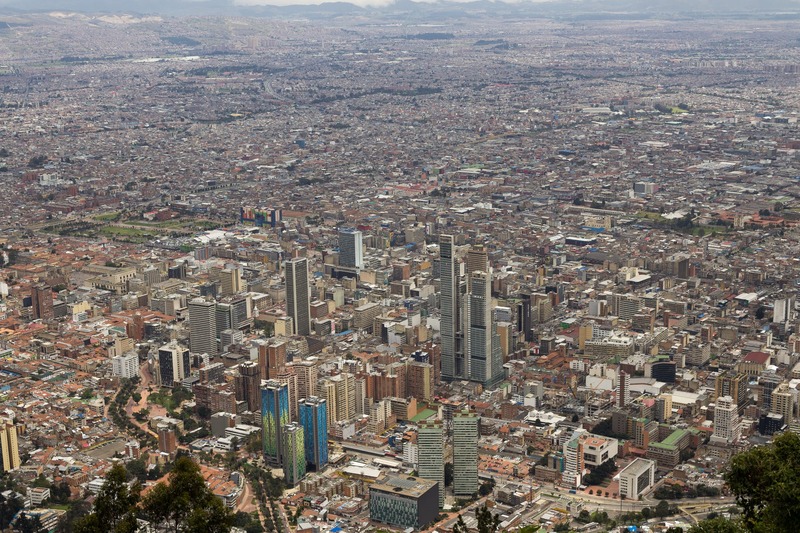 The attack was one of the worst bombings in Bogotá since the attacks carried out by the infamous drug lords of Colombia in the ‘90s and early 2000s and is devastatingly reminiscent of the violence that the peace deals were hoped to end. A day after the bombings, Colombian Authorities asked the Cuban Government to return the ELN affiliated rebels in Cuba for the peace talks. However, Cuba responded by claiming that they would only honor the protocols of the negotiation and would discuss how to proceed among the peace deal representatives in Havana. Many of the ELN representatives in Havana previously had their warrants for arrest revoked as the peace deal was in process. Following the car bombing, Duque reissued warrants for the arrest of 10 of the peace negotiators in Cuba (Jones, 2019). Justifiably outraged, the Duque has no plans on following through with the negotiation of peace with Colombia’s last remaining Guerrilla group. However, as Colombians mourn the loss of the military trainees killed in last Thursday’s attacks, peace becomes more urgent than before as it seems that ELN will take more and more extreme of measures to demand the renegotiation of the peace deal following last year’s halt in negotiations. John Otis. (2019 Jan 18). "Fleeing Crisis, Some Venezuelans Are Recruited By Rebel Forces Fighting In Colombia". NPR. Retrieved Sunday, January 20, 2019. Helen Murphy. (2019 Jan 21). "Colombia's ELN rebels say deadly car bomb was legitimate act of war". Reuters. Retrieved Monday, January 21, 2019. Alanne Orjoux, Lauren Said-Moorhouse. (2019 Jan 21). "ELN claims responsibility for Bogota car bomb that killed 20 at a police academy". CNN. Retrieved Monday, January 21, 2019. Jordan Jones. (2019 Jan 23). "Colombia urges Cuba to reconsider peace protocol and release ELN soldiers". The Bogota Post. Retrieved Wednesday, January 23, 2019.